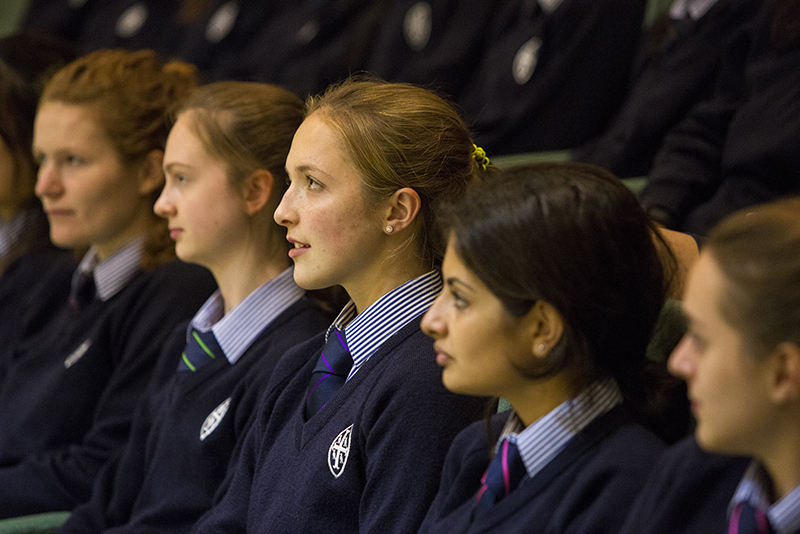 On 4 March, Dr James Ryan gave an insightful lecture on the topic of the Terror in Soviet Russia to girls in the Sixth Form. Dr Ryan spoke captivatingly about the sobering details of Russian Terror, unpacking the meaning of the word ‘violence’ in this context and the main differences between the Red Terror and the Great Terror. Often, when studying Lenin and Stalin, we come across the phrase ‘the end justifies the means’. Dr Ryan offered a fresh perspective in arguing that the ‘end’ was constantly changing through the balance of ideology and pragmatism and therefore the nature of violence, the ‘means’, was also continually evolving. Dr Ryan shared with us some particularly amazing primary sources and photographs which enhanced his observations of the Bolshevik and Communist ideology being the driving force behind the Terror. The lecture sparked many interesting questions from the audience, some questioning the differences between the manifestations of terror under Lenin and Stalin’s regimes and the big ‘what if’ question of how would Russian Terror have evolved if Lenin lived longer? Dr Ryan explored these conceptual ideas thoroughly and in detail, providing us with several perspectives on the impact of the two leaders. As students studying this extraordinary time period in Russia, we can sometimes become desensitised to the atrocities that occurred under Lenin and Stalin and we were therefore so fortunate to have Dr Ryan visit us to bring to life the unimaginable fear and terror that overwhelmed Russia in the 1920s and 30s.